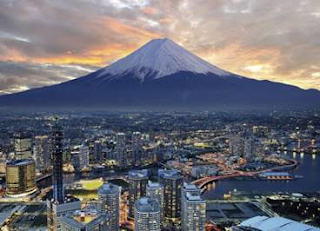 Inspirational, innovative and intriguing, Japan has always been a favourite Tauck destination, where gilded temples and glittering skyscrapers reign over streets steeped in history and tradition. Discover the revered customs and unique sense of beauty that infuse life here... On the main island of Honshu, from Tokyo to the hot springs resort town of Hakone and on through the "Japanese Alps" to Kanazawa and the cultural treasure trove of Kyoto, visit a private home, shoes off, for a tea ceremony and Origami... explore castles, temples, shrines, a samurai home, and world-class gardens... make sushi, taste sake, cruise Lake Ashi to see Mt. Fuji... enjoy a taiko performance, Shinto music, Kagura dancing, a sumo wrestling demonstration... and meet a geisha expert. Join us for a Japan trip to remember. · Upgraded hotel in Kyoto, now staying at Four Seasons Kyoto (small groups departure stay at the Ritz Carlton), additional night stay in Hakone at the Hyatt Regency Resort & Spa and introducing 2 nights in Kanzawa an emerging Japanese City. *Prices are per person twin share in Australian dollars and are correct as at 18 May '17. Prices are subject to availability and seasonal surcharges apply. Bonus Hotel Night is subject to availability and is one room per booking. $12,490 price is based on 17 Mar '17 departure. Small group price of $14,990 is based on 19 Mar '17 departure.